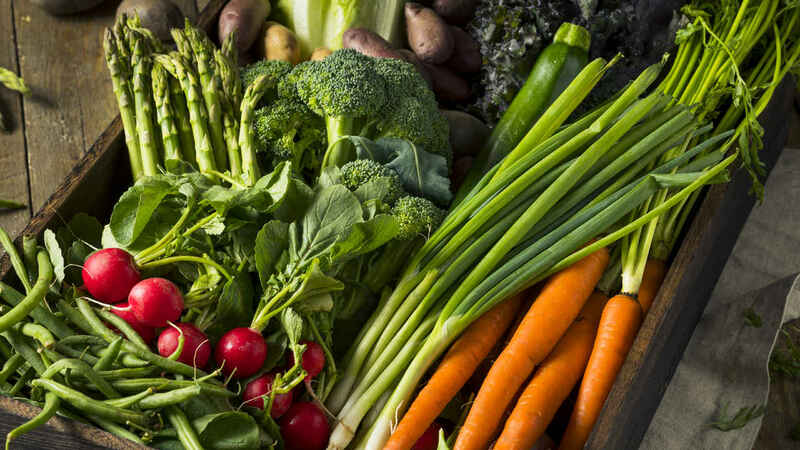 Take advantage of these delicious veggies this season. Looking to kick up your meals with a burst of flavor and nutrition this spring? Enjoy these delicious in-season veggies. Asparagus: One cup of asparagus is low in calories, high in fiber and packs 3 grams of protein and nearly 20% of the recommended daily amount of iron. Try adding asparagus to your favorite stir-fry for extra texture or roast it alongside chicken or fish for a delicious one-pan dinner. Radishes: These vibrant red veggies contain loads of fiber and vitamin C, as well as B vitamins, vitamin K, folate and a number of minerals. The most common way to eat radishes is sliced in salads, but you can experiment with adding them to cooked dishes, too. Peas: These little powerhouses of nutrition are low in fat and high in fiber. Green peas are a good source of vitamin K, manganese, B vitamins and zinc. Snow and snap peas contain lots of vitamin C. Enjoy peas in stir-fries, soups and salads or snack on them raw. Chard: This nutrient-dense plant is grown in a variety of colors. The phytonutrients that give chard its unique range of color promote eye health and fight against chronic disease and inflammation. Add chard to your favorite soup or sauté it in olive oil with some fresh garlic for a yummy side dish. Artichokes: One medium artichoke has about 60 calories and is loaded with fiber. Artichokes are also a good source of iron, potassium, magnesium and vitamin C. Use artichoke hearts in salads or mix into pasta dishes. You can also add them to soups, dips or salsas.